In a medium saucepan, add in the sugar, salt, and cornstarch. Stir to combine. Add in the 3/4 cup of strawberry puree and lemon juice. Stir to combine. Once incorporated, put the saucepan over medium heat and let the mixture come up to a boil. Let it boil for 2 minutes. Whisk constantly to avoid burning. Add the egg yolks into a small bowl. Whisk to combine. Pour about 1/2 cup of the strawberry mixture into the egg yolks. Whisk immediately to avoid cooking the yolks. This is tempering the yolks. Add the tempered yolks into the saucepan with the strawberry mixture and whisk until incorporated. Let the strawberry lemon curd come back up to a boil, and let boil for 5 minutes until thickened. Remove the saucepan from the heat and add in the chilled butter and strawberry extract. Whisk until the butter is thoroughly incorporated. Pour the mixture into a bowl and cover with plastic wrap. Make sure the plastic wrap is sitting on top of the mixture so a skin doesn't form. Place into the fridge to chill and thicken up more. Store in the fridge. Use in desserts, as a spread, or just eat by the spoonful. 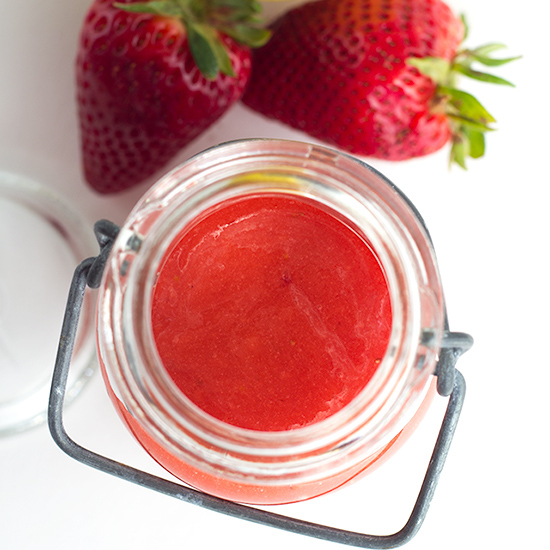 Strawberry Lemon Curd - fresh pureed strawberries and lemon juice make the perfect filling. 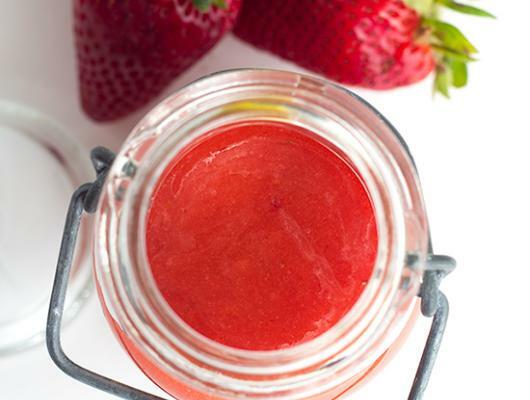 It's sweet and is a delicious spring flavor to put in your cookies, cakes, and cupcakes!